It is possible for people to be invited to join the Committee provided co-options do not exceed one third of the number of elected members. The Committee meets most months and sub-committees can be set up to deal with particular aspects of the Association’s affairs. The Committee is responsible for the Association’s strategies and policies like housing management, maintenance, finance, employment and governance. Committee members act in a voluntary capacity and do not receive payment for their work, only reasonable out-of-pocket expenses. They do not benefit from their position and cannot receive favourable treatment in any way – neither can their close relatives. Serving as a Committee member is both interesting and worthwhile. Training is available for Committee members and further information about what is involved is available from staff. 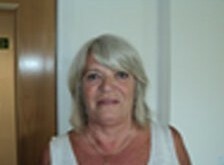 Kathleen is a retired primary school teacher and has been a Management Committee Member since 1999 as a Tenant member. 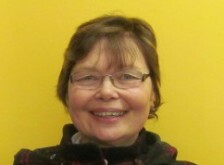 Kathleen sits on the Audit and Development Sub-Committees and is a member of her local area (Craigiebank) Tenant’s Group. 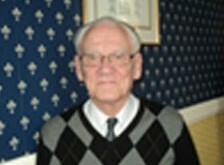 Ron is a local resident who is active in the Community Council and on the Board of the Finmill Centre. 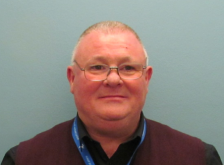 He joined the Management Committee as an Other Category Member in September 2013, but transferred to a Service User category member in September 2015. Ron sits on the HR and Development Sub-Committees. 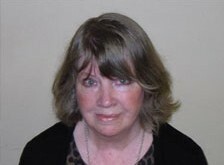 Dorothy is an original Steering Group member and former Chairperson, and joined the Management Committee in October 1997. She is a Service User Category Member and previously worked for 20 years plus as an Accounts Assistant in a local company. Dorothy sits on the HR and Development Sub-Committees and has held various positions on the Management Committee. Kenneth is a Homeless Support Officer. He is a fully qualified Housing Officer and also a qualified Social Care Officer and currently lives in Lochee. He is committed to improving the area for the benefit of the community. He joined the Management Committee as a Service User Category Member in September 2016. 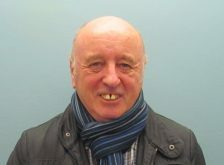 Denis is a Service User Category Member who joined the Management Committee in January 2017. Denis sits on the Development and Audit Sub-Committees. Vicki is a fully qualified Health and Safety professional and for the last 15 years has worked predominantly in the social housing sector as a Health and Safety Advisor and latterly as an independent consultant. She has a wide range of knowledge and experience in respect of property compliance and has worked with social landlords throughout the UK. Vicki relocated to rural Angus from Central England, and joined the Management Committee as an Other Category Member in September 2018. Vicki sits on the Audit Sub-Committee. 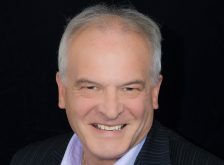 Gordon is a qualified accountant and former Director of Resources Management at Aberdeen City Council. Gordon is currently Finance Director of a Social Care Charity in Aberdeen and is a former chair of Grampian Housing Association. Gordon was co-opted onto the Management Committee in September 2018. Gordon sits on the Audit Sub-Committee. 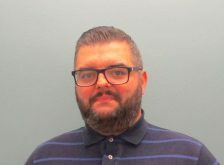 Gavin joined the Management Committee as an Other Category Member in September 2018 and is currently employed by Caledonia Housing Association as a Business Services Manager. Over his 21 year career he has held a number of middle, and senior management positions in public sector organisations such as the Scottish Prison Service, Angus Council, and Fife Council. 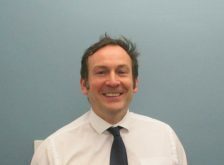 In addition to his current post at Caledonia Housing Association, he is a part-time lecturer in Business Management at Dundee & Angus College. Gavin sits on the Audit and HR Sub-Committees. Paul joined the Management Committee as an Other Category Member in September 2018 and is currently employed as an Engineering Manager by a major house builder. As such, he has much experience of dealing with Housing Associations. His career has covered engineering, technical, commercial and management roles in the house building industry. Paul lives in Dundee. Paul sits on the Development Sub-Committee. 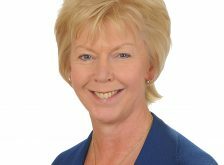 Rhona has been Chief Executive of Trust Housing Association since 2015. Prior to that she worked in a variety of roles in the health and care sector and has experience of strategy, operations and leading programmes of change. 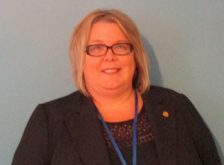 Rhona was co-opted onto the Management Committee in September 2018. 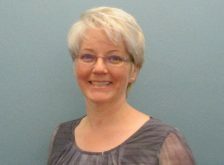 Helen first joined Abertay’s Management Committee in December 2005 as a General category member but this changed when Helen became a tenant the following year. Helen’s background is in Insurance & Claims. Helen sits on the Development Sub-Committee. Rebecca was co-opted onto the Management Committee in September 2018. Rebecca is Director of resources at Maryhill Housing Association and has experience in Finance, development and Procurement. Rebecca sits on the Audit Sub-Committee.